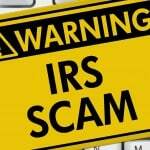 Home » Blog » Blog » IRS Hacked Again by Identity Thieves? Why can’t the IRS secure their own site from hackers? In a statement on February 9th, the IRS stated that Identity Thieves breached the IRS database. Roughly 464,000 unique social security numbers were used, and from that total, over 100,000 of them were successfully used to access an E-file pin. The identity thieves used taxpayer data that they had stolen some other way to generate the PINs. No personal data was taken or disclosed by IRS systems, and the affected taxpayers will be notified immediately by mail. This happened just one week after the IRS had a system wide computer failure. This caused the IRS to accept a limited amount of taxpayer returns until the glitch in the system was fixed. The IRS said this recent breach in security was unrelated to the computer failure of a week ago. 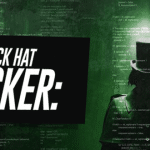 This hacking follows a large data breach that occurred at the IRS in 2015, where hackers stole information from 330,000 taxpayers and successfully filed bogus tax refunds. All in all, the damage was done by stealing $50 million in federal funds. IRS cybersecurity experts are currently on the case to see what exactly happened and are working closely with other agencies to get to the bottom of this. Get a credit report from all three credit bureaus. Check for any suspicious activity on your credit report. If you find anything fishy, contact your local police to file an ID theft report. Sign up for identity theft protection with a reputable monitoring service. Make sure to keep aware of your identity. Identity thieves are constantly finding ways to take your hard earned money and your hard earned credit profile. As you just read, even the most secure sites can be compromised. IRS hacked again by identity thieves. 100,000 taxpayers were successfully compromised allowing hackers to successfully access E-file pins.